Note: This post was updated in February 2019, and we still these places are great travel destinations! The year is not even halfway over yet, which means you still have plenty of time to plan a trip before the year runs out. Since our focus is on affordable luxury, we stay away from recommending places that might be out of budget for many. With that said, we’ve picked four destinations, two in the United States and two abroad, that we think travelers and solo travelers alike would enjoy. This list is designed for everyone, from the person who loves road trips to the traveler who wants to fly halfway across the globe to relax on a beach somewhere. It’s not unusual to find San Antonio on a recommended list of places to travel in the United States. Travel + Leisure even ranked it in the top five cities for an affordable getaway. The Texas city is known for attractions such as the Alamo, marketing firms, and other historic missions throughout the city. Travel + Leisure also shared a fun activity in San Antonio: “Along the Mission Reach section of the Riverwalk, a 15-mile stretch of urban ecosystem restoration, you can rent bicycles (through B-Cycles) for $10 a day.” The city even has a Mardi Gras festival in the springtime for those who love New Orleans as much as we do. 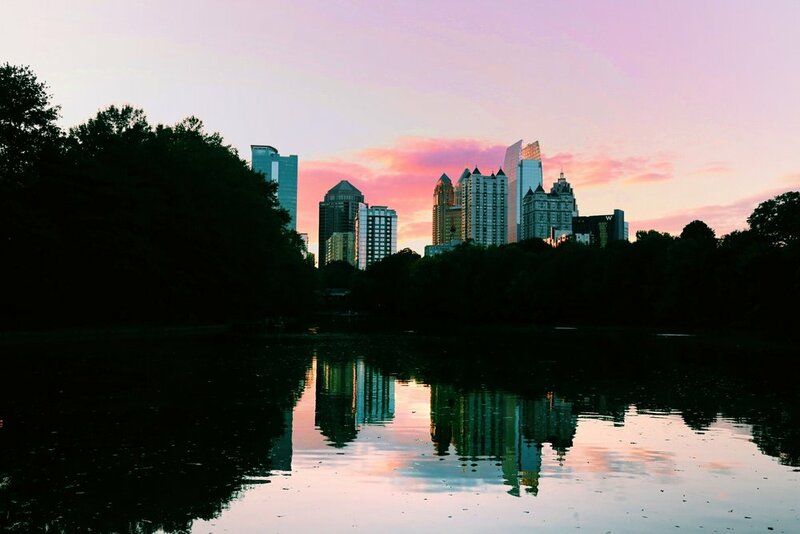 Not only does Atlanta have a hot food scene, the city is the largest in the South and there are tons of inexpensive options for staying and playing. Kiplinger says the average cost of a hotel room per night is under $100 and the cost of a meal out is around $30, despite the “ascendant restaurant scene.” The Hartsfield-Jackson airport is also a major hub, one of the busiest in the world, so finding flights that won’t break the bank is easy if you want to skip driving there. Photo by Murray Foubister via flickr. While you may be familiar with Santiago, the capital of Chile, many of us haven’t yet ventured around the rest of the country. Annie Fitzsimmons, digital editor at Virtuoso and editor-at-large at National Geographic, told Forbes, recommends the small lakeside town of Puerto Varas, a lesser frequented area than the busy capital at the northern start of Patagonia. Do yourself a favor and search Google Images for Puerto Varas right now. This place is gorgeous. Fitzsimmons says Puerto Varas is a great starting point for renting a car and driving to other nearby, inexpensive areas. Portugal has all the history, beauty and culture of many of its neighboring countries, but even the capital, Lisbon, is less expensive than other comparable cities such as Barcelona or Athens. For 15 things to do in Lisbon as a solo traveler, read this blog post. The country has it all: beaches for relaxing, exploring or surfing, cities for sightseeing, and small towns to get lost in. To check flight availability to any of these locations, click here to check on Expedia.com. Disclaimer: This post contains an affiliate link, which means that if you book a flight through the above Expedia link, Astrid Solo Travel Advisor receives a commission. This comes at no additional cost to you, and it helps keep this website running, and full of free ideas and tips! For more affordable luxury ideas, tips, tricks and advice, explore some of the posts below!